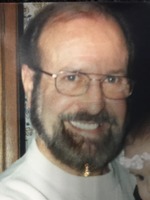 Charles David Schultz, of Parma Ohio passed away on May 13th 2018. He was 80 years old. He was born at Lakewood Hospital on July 31, 1937 to Charles C. Schultz and Cecelia Zaremba (Schultz). He is survived by his lifelong love, Mavis J. Klesta (Schultz). Charles had three daughters: Caroline J. Simpson, Melanie A. Skala (Franklin C.) and Christine K.Fink. He was grandfather to Jessica, Timothy, and Katherine Kapottos; Heather Curtis and April Simpson. He was a loving brother to Caroline Hass and a loving Uncle to Victor, Valerie, Laura and David. He proudly served our country in the United States Navy and was aboard the U.S.S. Ticonderoga. He earned his degree at Cuyahoga Community College and was accepted to the school of engineering at Cleveland State University. He enjoyed a long retirement. His passions were gardening, cooking, shooting pool, music and science fiction. He was a generous man and loved his family dearly. He is missed every day and remains in our hearts. Rest in peace daddy! I miss you every day! I love you! How I miss you!!! I think of you all the time!! I love you so much. Waiting to see you in heaven!! Your loving daughter-Tina.